Welcome to part one of my guitar fretboard memorization system. I'm sure you probably know some of the reasons why knowing the notes on the fretboard is important to your skill set as a guitarist. But just in case you think it might be an option, let me assure you it can be one of the most helpful things you can do for your progress as a guitarist. Accurate guitar soloing is dependent on knowing where you are on the fretboard. It is worth your time to learn the notes on guitar fretboardSure there are ways to make it sound like you knew what you were doing but if you are totally wrong about where you are on the fretboard it will sound terrible. Chord construction - all chords are movable around the fretboard, if you know your chord shapes then you can just move to where the right root note is for that particular chord. Scales are the basic building blocks of music and just like chords they are movable up and down the guitar fretboard. Find the root note on the neck of your guitar and you are ready for that lick or riff that you practiced, just in another key. If you have trained your ears properly, which is a whole new subject, you will be able to move straight to the correct position to crank into the lead you know you are ready for. Just being able to go straight to the notes on the fretboard you are hearing while playing with a band is one of the important reasons that memorizing the fretboard is important. Being ready in just that sort of situation can mean the difference between getting a gig in a band or being passed up. The musical alphabet on guitar is made up of the first seven letters of the alphabet and then repeats. A, B, C, D, E, F, G and then A again. 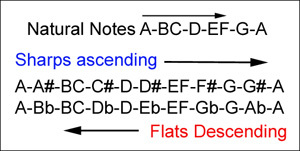 In between some of the notes are ‘Sharps’ ( # ) and ‘flats’ ( b )So if you see a C# it is known as a “C Sharp”Example: Db is a “D flat” - C# is a "C sharp". If you are going up the scale you have sharps and if you are going down you have flats. They are really the same note but change names with the direction. The following fretboard charts show the layout of the notes on the guitar fretboard. These are fretboard maps to help you understand the layout of the notes on the guitar neck and help you memorize the fretboard. Don't stop with these! - I have a complete program for memorizing the notes on a guitar fretboard easily and quickly right below these diagrams. For the most part, if you're a little like me at all, having a guitar book or teacher tell you that you have to memorize the fretboard is intimidating, to say the least. I paid $35 dollars for a system to memorize the guitar fretboard and it did not work for me. This one is yours for free. I was totally frustrated trying to learn the notes on the fretboard, so I bought a program that was supposed to teach me it in an hour. HA! What a waste of time and money. So I've put together a diagram chart system for learning the fretboard notes easily. My system does not take an hour. It takes more but it is much faster than anything I have seen. 1.Remember knowledge & effort = results. While this system is fast compared to other methods it does take some time. Put in 15 minutes a day till you have it down cold. 2. Use a tuner to check your progress - this will tell you how well you are doing. Immediate feedback will build confidence. 3. keep a journal of your progress. 4. take one step at a time and reward yourself for progress. Let's give it a go.. 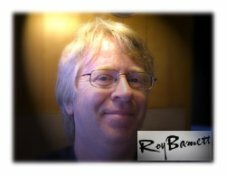 I've based my memory technique for the notes on the guitar fretboard on a concept call chunking. Large groups of letters or numbers are easier to memorize by putting together small groups from the large. 245687 or 24 56 87, the second set of numbers, though the same, should be easier to remember. BC and EF are only one fret or semitone away from each other while the others are two frets or a whole tone apart. So by learning the location of BC and EF first, the rest of the notes are easier to visualize and memorize. Take one chart at a time, use as much time as it takes to completely internalize the note locations and it should be much easier. Instructions for part one: Use the following diagrams to practice locating notes BC two strings at a time until you can go right to them. Tip..... Print this page on learning the notes on guitar fretboard out and keep it in front of you as much as possible.